More information about C# asynchronous programming you can found in my previous posts. Since we have asynchronous programming model in all languages calling service operations asynchrony is not relevant at all. We can just forget it and start writing code like synchronous. To see hot new pattern is reflected in WCF lets implement simple service and simple metro style app consumer. The mentioned operation returns list of string but between populating the collection we sleep the current thread for 0,5 second in order to simulate log running operation. It is necessary to publish the WCF service on remote host, in order to consume it. I still dont know why WCF service cannot be consumed by Metro app on the localhost. After the service is published on remoter host, we are ready to create Metro style Consumer app. 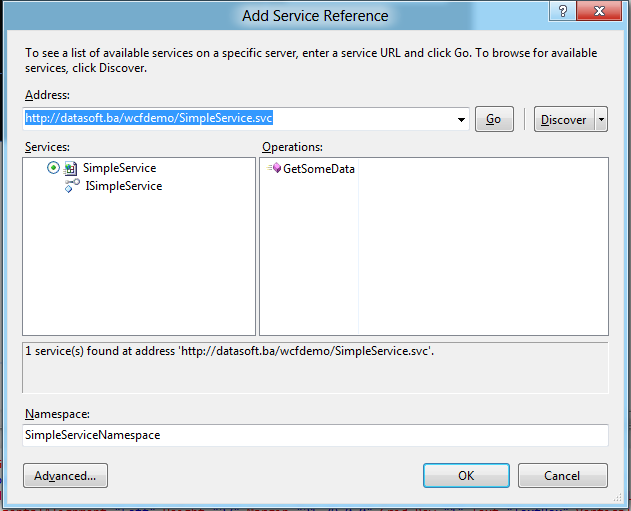 Add service reference to C# Metro Stryle app. The picture below shows the example ot the mainPage. Implement Loaded event in to MainPage.xaml and insert the following code. Even if GetSomeDataAsync method is asynchronous we don’t implement callback because this operation is implemented based on the async and await C# keyword and no need to do that. Just assign the result of the servicedata to the GridView.ItemsSource. If we run the app, we can see that the data is loaded asynchronously and UI is not blocked. We can click on buttons, tipe some texts while data is loading. This is awesome and now we can think about application logic instead of callback service implementation. 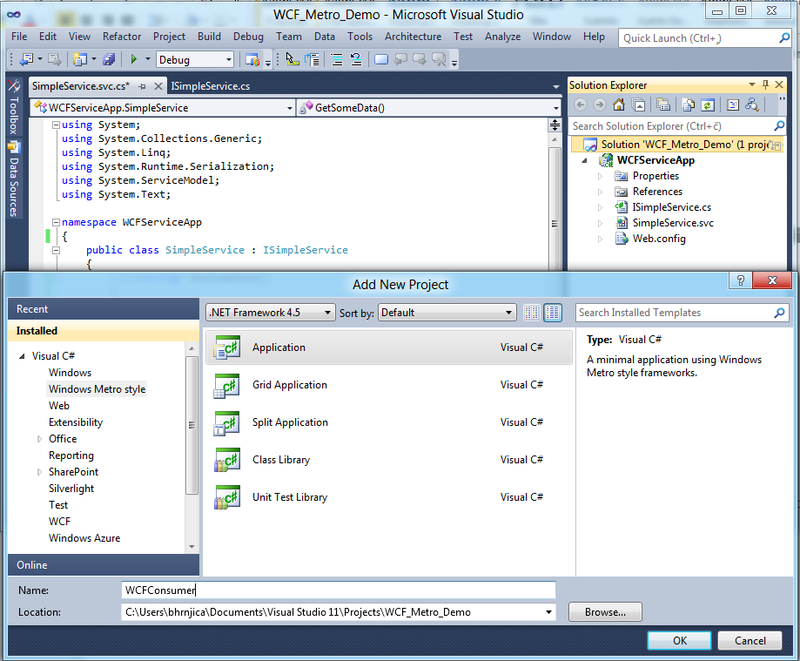 This programming pattern works not just for Metro style apps, in fact it works for all .NET 4.5 based applications. 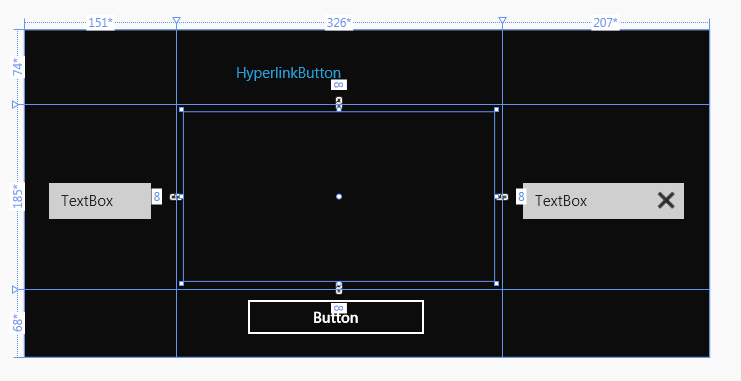 This entry was posted in .NET, C#, Metro style App, Windows 8 and tagged C#5.0, Metro, Metro style App, Windows 8 by Bahrudin Hrnjica. Bookmark the permalink. What version of Visual Studio did you use for this? To my knowledge, the only version that supports Metro app development is the Express version that came bundled with the Windows Developer Preview. But that version doesn’t support WCF projects. If there’s a version that allows Metro and WCF projects in the same solution I’d love to know what it is. Thanks! I apologies for not mentioned the version of Visual studio I have used for this blog post. There is a full version of Visual Studio 2011 Developer Preview which you can download at this location http://www.microsoft.com/download/en/details.aspx?displaylang=en&id=27543. I think there is offline installer too. Thanks for clarifying. I had only tried the VS11 Express version on Windows 8 and the full version on Windows 7. But installing the VS11 full version on Windows 8 works great! Excellent article too – very informative. Thanks again! wow. This is really helpful article. I have one more question, how we can do callback from WCF to metro app? as I know, it stayed the same as in previous version. If you are using Visual Studio 11 beta, probably they have changed somthing. I didnt rerun the demo sample project against beta version of vs11. Concise and short & sweet. Right on the target without overflows. thanks, for sharing this useful resources. 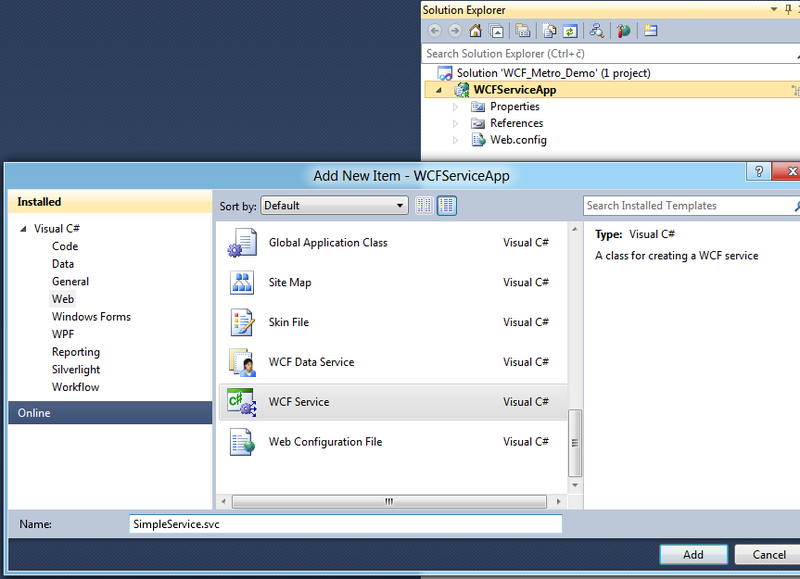 I created a WCF WebService(WCFService) using Visual Studio Express 2012 for WEB and trying to Consume it from a WebSite(WCFConsumer) Website which i created using Visual Studio Express 2012 for Windows8. Iam facing below error. Thanks in Advance. was not recognized as a known document type. HI Dinesh, please this is very common error. I would sugest you to ask question on stackoverflow or msdn forums. With Google and Windows Mobile dial, you can bundle services and applications into one small, powerful device. have within you industry sector. After you run your search, you’ll find the PPC ads on the right-hand side of the screen. Hi! slimex cheap very good site.